The moment is finally here for me to try a newly released whisky from one of my favourite distilleries, namely Laphroaig! The 1st of October, Laphroaig released a whisky exclusively for the nordic countries Sweden, Norway and Finland. The swedish state monopoly liquor store got 1800 bottles. According to the norwegian blog stow.no 3500 bottles has been released in total and the whisky is said to be matured in refill sherry puncheons (made out of spanish oak and holding about 500 litres). Okay, that sounds exciting, let’s try it! The nose also says so; the sherry-influence is big! When the whisky is just standing in the glass waiting for me, big whiffs of dark sherry comes towards me through the air. Picking up the glass I get a little burnt note, something like burnt grass in combination with lightly roasted almonds, dark raisins, heavy notes of dried figs and all this is surrounded by a beautiful peaty nose. Touches of leather. At a second nosing I get a quite citric, zesty, clementine-peel-y note in the centre of the nose. There’s also loads of vanilla. The nose is deep, take my word for it. This is truly mouthwatering stuff we have here, so let’s see what’s on the palate! Mmm, a pure beauty! Starts of soft, creamy, quite sweet like some kind of liquid honey, but then comes a quit fire-y peat. It’s rich in texture, mature, loads of sherry-influence. The peat and the sherry has a great interplay. There’s a little burnt note and almost something that reminds me of peanuts but minus the salt. After a few seconds it starts to get quite dry on the palate, a little heat that warms my chest. The peat becomes bigger in the aftertaste… This is, in my humble opinion, a very good sherry-matured Laphroaig and I find it very hard to believe that this is matured in refill sherry casks. But I will ask Vicky about it tomorrow when we work in the Laphroaig-stand together at the Örebro beer & whiskyfestival… If this truly is matured in refill sherry casks, let me tell you friends, the refill sherry casks used at Laphroaig distillery is of very good quality! Slainthé! Please check out my second tasting note as a guest-blogger at ilovewhisky.se (in swedish). This beauty was privately bottled for an acquaintance of mine, a big thanks to Pyrre for parting with a bottle! It has been matured solely in a sherry cask (probably first-fill oloroso as you can see from the color) for 14 years so this ought to be a treat! 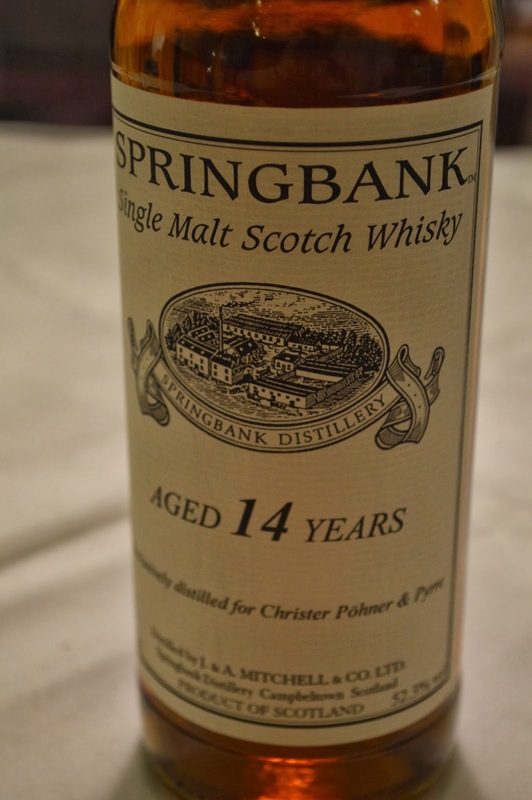 It was ordered back in the days when Springbank distillery still sold casks to private persons and not only did official bottlings as they do nowadays. When opening the bottle, a quite winey or port-y nose with very sweet overtones spreads throughout the room… holding the glass about 10 centimeters away from my nose I smell wonderful tones of dark raisins and chocolate as if they were together in a liquer-ish mix, absolutely beautiful! Coming closer to the glass the sherry-influence is really heavy and dark with dried figs, red grapes and a handful of big peat, leather and a wonderful alcohol-sweetness together with a very evident sweet-liqourice (the ones in the ’Gott & blandat’-candybag). The nose on this beauty is soo deep and goes on forever. 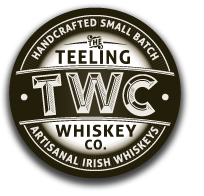 Tasting two whiskeys from The Teeling Whiskey Company! A while ago I was very lucky to receive two samples from The Teeling Whiskey Company along with a nice little personal note : ) Big thanks to Jack Teeling and Alex Chasko for once again giving me the chance to try your whiskeys! 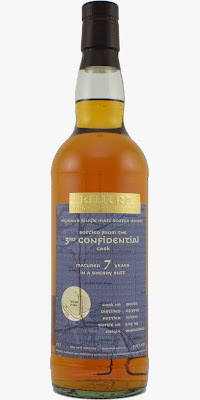 This Irish single malt bottling is very exclusive, limited to only 1000 bottles, and mainly consisting of 11yo and 21yo whiskey from ex-bourbon casks. It is only sold at the Loops ’The Irish whiskey collection’-store at Irish airports for just under €70. For more info please check out the ’Liquid Irish’-blog. Okey, let’s try it! Sooooo smooth and soft! Really caresses my mouth. Beautiful composition, very deep and goes on forever… waters my mouth, the vanilla and cream is there and so is the honeydew melon along with some kind of fudge and also some almond mass or maybe marzipan. There is nothing harsh here fellas! Just pure softness. The second sample from TWC contained a 21yo Irish single malt, distilled in 1991, limited to just 5000 bottles and goes for about €150. It was initially matured in ex-bourbon casks and then finished in Sauternes casks for 10 months. This one is a little ”tougher” on the nose than the 11yo but maybe I should not compare them cause this seems to be something completely different. Quite some touches of herbs and also a faint touch of soft peat (?) and elder flowers comes back, actually reminds me quite a bit of Connemara in some way, hmm… Don’t really know if I feel the sauternes influence, maybe in the form of peaches and red cherries. Also there is vanilla. This is very exciting! Etiketter: Irish, Sauternes finish, Single Malt, The Teeling Whiskey Co. 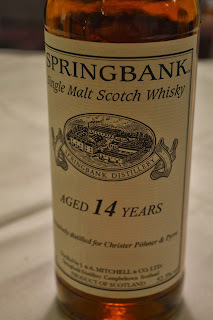 Please check out my first tasting note as a guest-blogger on ilovewhisky.se (in swedish).